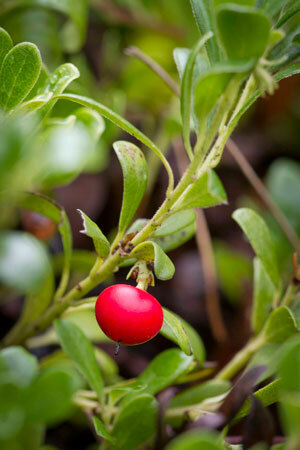 Bearberry is an North American herb used traditionally for urinary tract infections (UTIs). It contains arbutin, which is made up of hydroquinone attached to a sugar. Hydroquinone is a small reactive compound that creates free radicals and disrupts cell membranes. The addition of the sugar stabilizes it, but when certain bacteria like E. coli encounter it, they feed on the sugar and then activate the toxic hydroquinone that then harms the bacteria. This herb is specifically used in patients with a urinary tract infection with alkaline urine. Bearberry is recommended for short term use only.